Composed by Antonio Vivaldi (1678-1741). Arranged by Steven Frackenpohl. 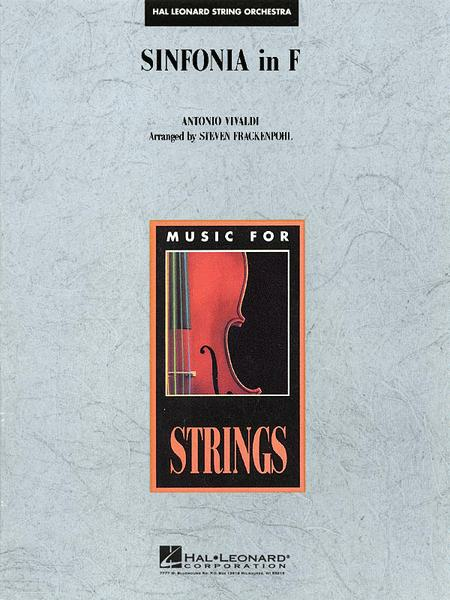 Music for String Orchestra. Baroque, Classical. Published by Hal Leonard (HL.4490492). Arranger Steven Frackenpohl brings us another outstanding teaching and performance piece for string orchestra with this superb movement from Vivaldi. The well-designed part writing for each section gives ample teaching material in the time-tested tradition of the grand Baroque style.